Art. Friends. Fun. ~ You Can Do It! 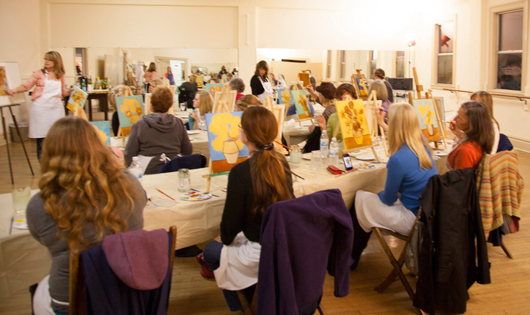 An evening to paint a masterpiece is just what you need! My Masterpiece classes are for everyone. It is a perfect time for letting your inner artist out, even if you didn't know it existed. With step-by-step instructions, light snacks, beverages, and all the supplies you need – how could you go wrong? Not only is this class fun, but you end the evening with your finished canvas, a sense of pride, and an eagerness to do it again! To sign up for your class: KnoodleU.com.